​We are committed to protecting the environment. 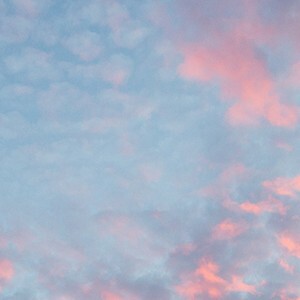 We implement high environmental standards to ensure that our actions today will not only provide the energy needed to drive economic growth and social well-being, but also secure a stable and healthy environment for tomorrow. We are working to monitor, manage and reduce the production of air pollutants and greenhouse gas emissions from our operations. To manage our impact on biodiversity, we use a Biodiversity Risk Management Framework (BRM), which is a three-step approach for identifying and acting on the risks our operations may have on surrounding habitats and wildlife. Three eggs may not sound like many, but for the Piping Plover—an endangered bird species—it's a number worth celebrating. Due to changes in habitat and heavy predation, it's estimated that there are only about 100 of the small shore birds left in Alberta. 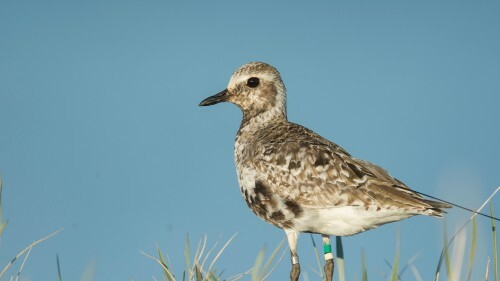 In hopes of increasing the Plover's population, biologists from the Alberta Conservation Association (ACA) built an artificial nesting site within the Junction Lake Conservation Site, located 22 kilometers east of Vegreville. After waiting three seasons, the biologists' hard work and patience has been rewarded with the discovery of three small Plover eggs. In 2014, ConocoPhillips helped fund the initial land acquisition of the Junction Lake Conservation Site. The 289-acre site is also open to the public for hiking, birdwatching, hunting, or berry picking and provides a unique opportunity to view an endangered species in the wild. 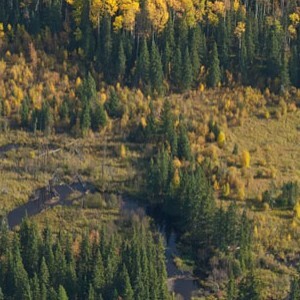 "Investing in conservation offsets is not only good for wildlife and the environment, but it also demonstrates our recognition and support for other uses for the land from which we extract oil and gas," says Scott Grindal, ConocoPhillips Canada’s senior coordinator of biodiversity and water. ConocoPhillips also provided funding to help improve habitat quality through the addition of sand and gravel for the nesting habitat, the removal of invasive plants and the planting of trees native to the area. A viewing platform and new interpretive signs were also installed. 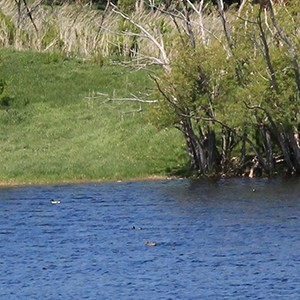 In conjunction with ACA, CPC received the first formal "early action recognition for a conservation offset" from the Government of Alberta for this site. The conservation offset supports sustainable development by compensating for infrastructure footprint from other areas of the company's operations. For more information on how to visit the conservation site, visit the Alberta Discover Guide. You can watch the ACA's video on Piping Plovers here.